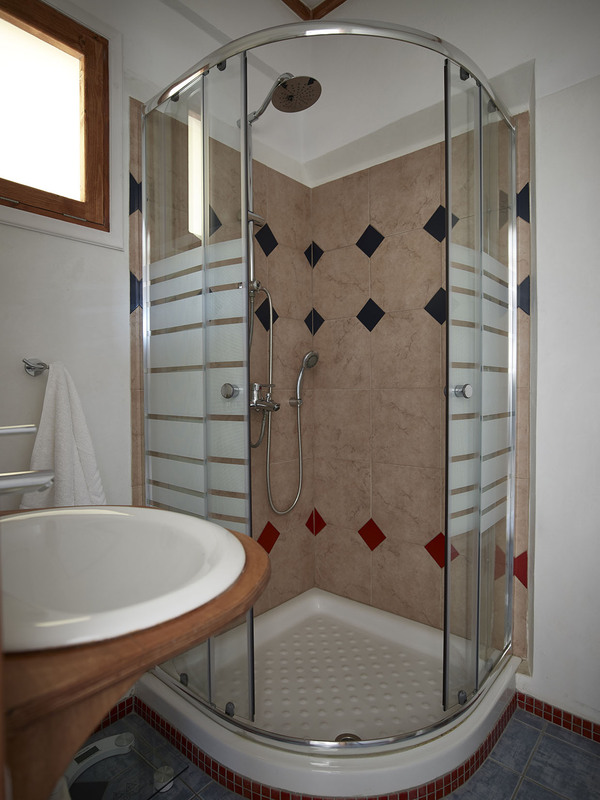 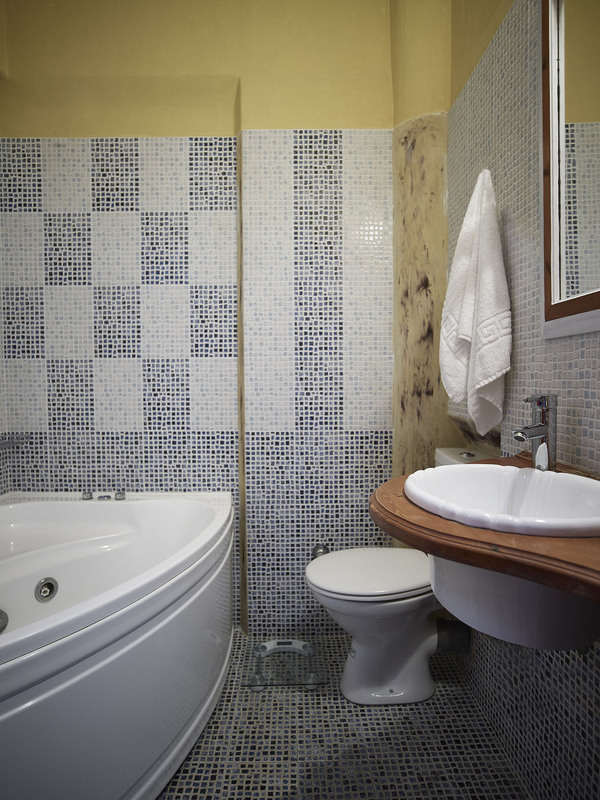 The newly built Superior Double rooms come with a shower or bathtub. 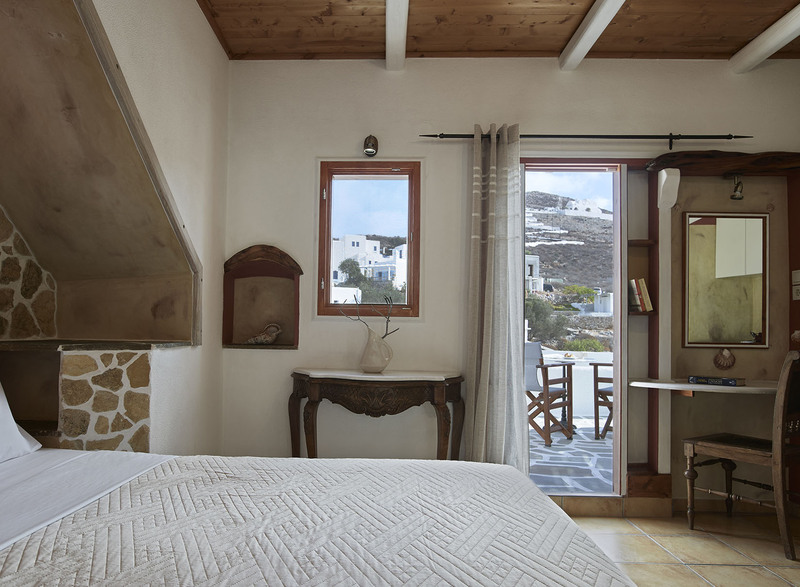 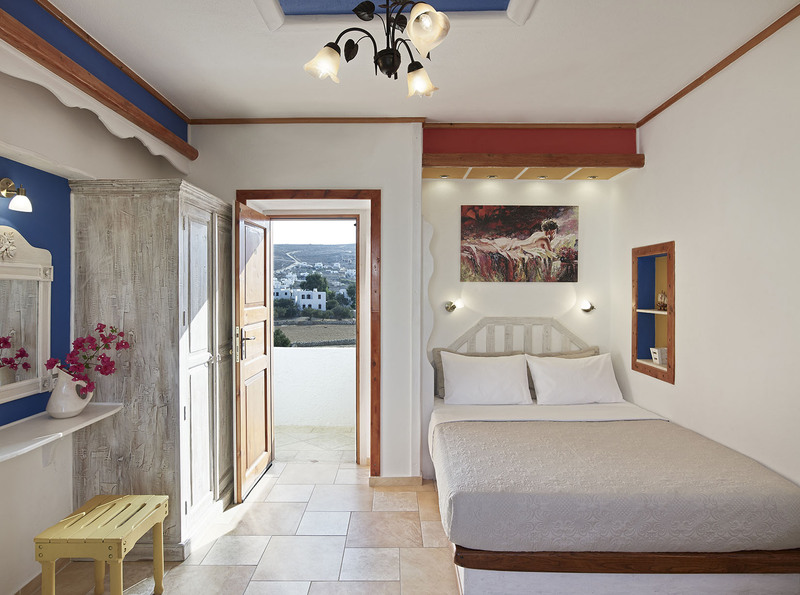 Rock and wood elements are dominant, while the wrought and stone beds, the small furniture of Cycladic style with influences from the renaissance, the multiple lighting, the different genres and the touches with the colors of the sun and the sea create an idyllic scenery. 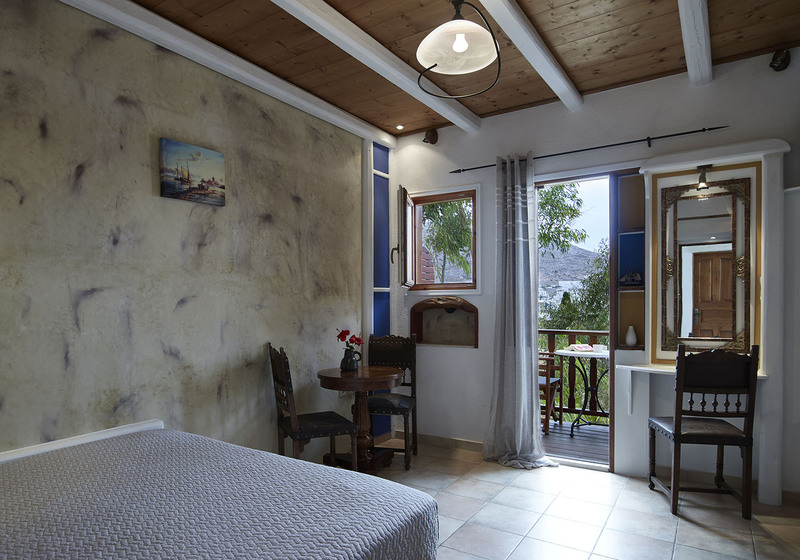 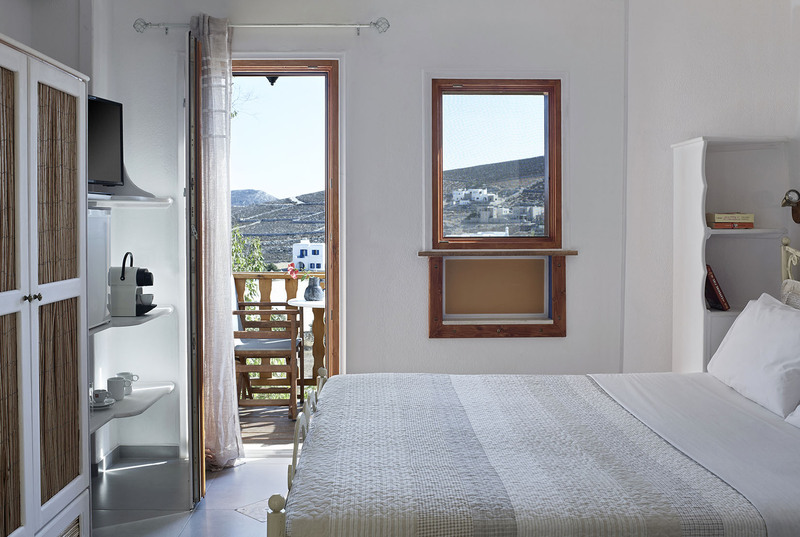 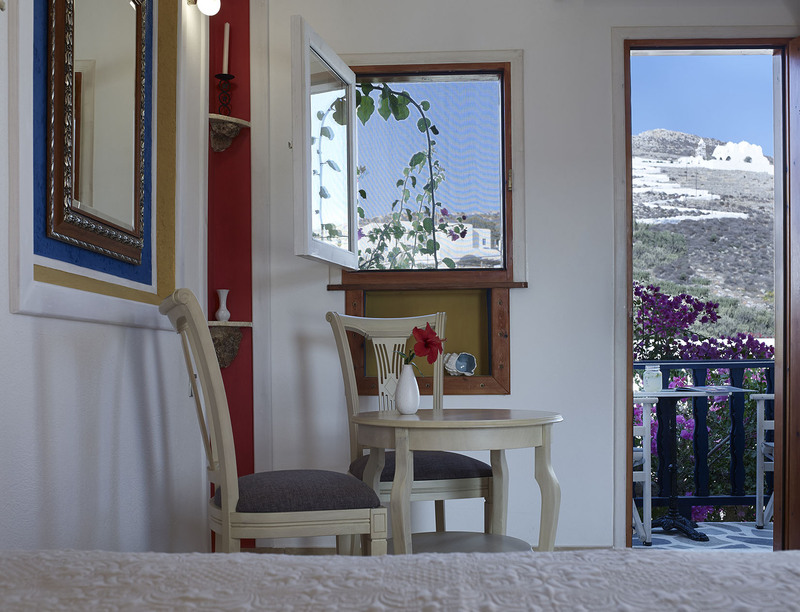 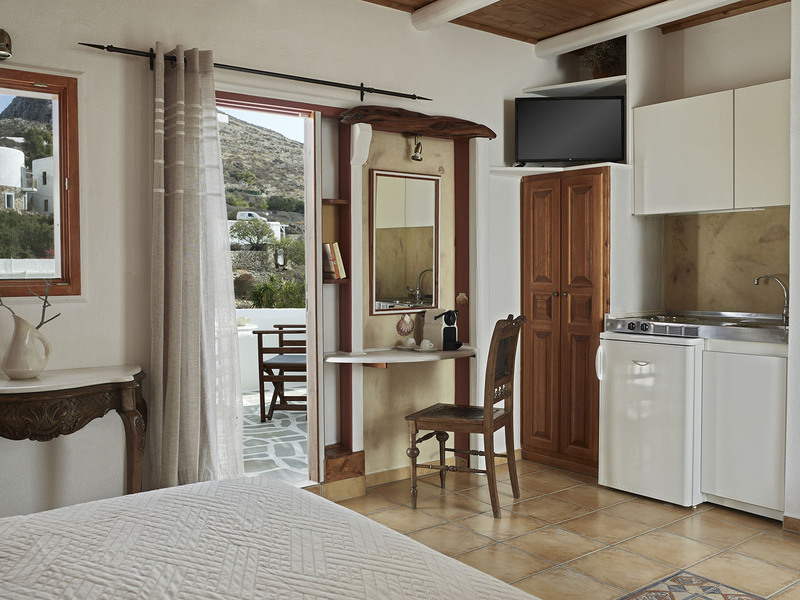 Every room has its personal character.Most of them have views of our imposing swimming pool and /or the hill of the famous Panagia Church, which is towering over Chora. 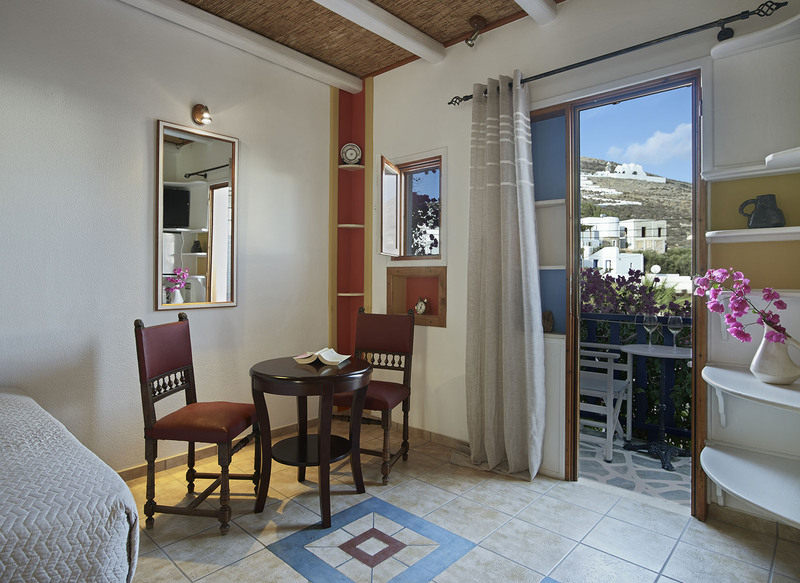 Seven (7) of them have views of the back side of the hotel, where you have a beautiful view of the huge trees and part of Chora, enjoying it from the privacy of your balcony, to the full. 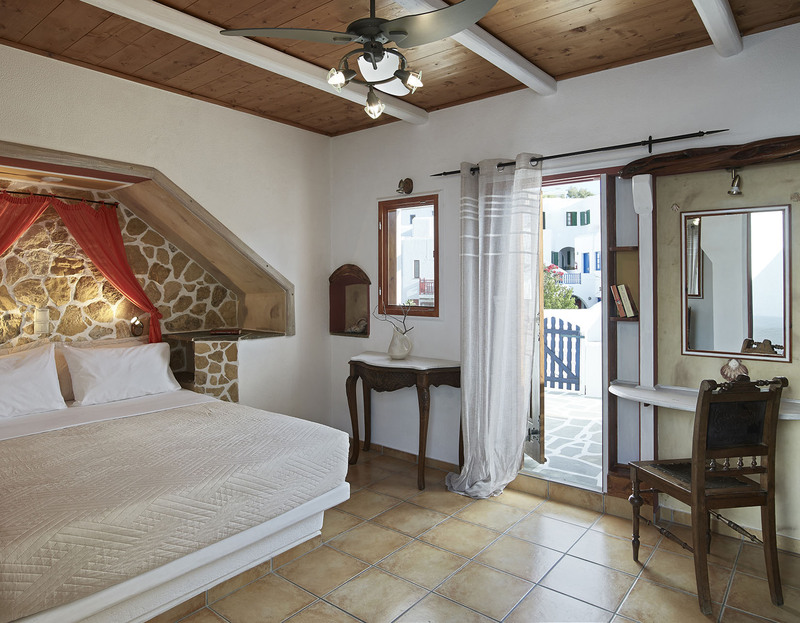  The superior double rooms are situated either on the first floor or on the ground floor. 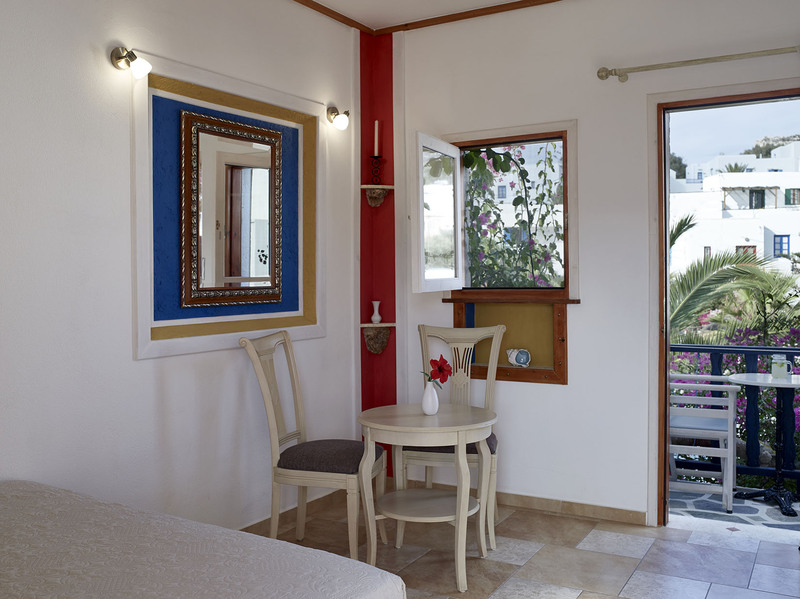 Rates are per night, per room (2 pax) and include all legal taxes.